The project Race to the Bottom? 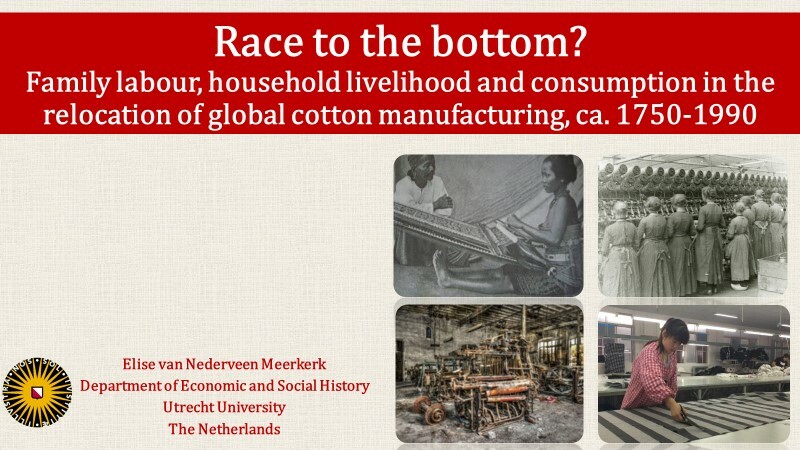 Family labour, household livelihood and consumption in the relocation of global cotton manufacturing explores the macro-economic global relocation of textile production from a micro-level perspective: households’ labour and consumption decisions. It comprises a comparative study of changes in labour allocation and consumption at the household level, to deepen macro-level studies on global textile production. It will investigate to what extent, and how, gendered allocation of work on the household level impacted macro-economic shifts in labour division. It will scrutinize households’ multiple livelihood strategies, and relate this to the resilience or disappearance of local textile industries. Finally, it will analyze how local consumption patterns have influenced the continuation and disappearance of particular types of textile manufacturing over time and space. This lends workers and households the agency that most studies have so far overlooked, thus offering new explanations for regional as well as global divisions of labour.